Perennial is a survival horror game about being chased by the shadow you see out the corner of your eye when you look behind you on a dark night. Every summer when you were a kid you would hike up to Four Lake Park with your parents. Recently you realised you hadn't been there in 12 years. You decided to go camping alone. You set up camp near the Watchtower and Made a fire with 5 logs, then went fishing and caught dinner. You fell asleep exhausted from the hike. You woke up around 4 am however. You felt an unearthly chill fill your body. Something was at the door of the tent, silently watching you sleep, it's eyes two piercing points of light. A second later it was gone. You don't feel safe, Maybe you can head to the watchtower and get help or at least feel safer. Click on a Campfire to save the game. You'll be safe at a lit Campfire. !! !Perennial is designed to be played with headphones.!!! Only read this if you're not having fun not knowing. The monster turns into a tree, just like any other tree in the map, after you look at it. The more times you spot the monster the longer it takes to change into a tree and the higher it's chance of charging at you and catching you. 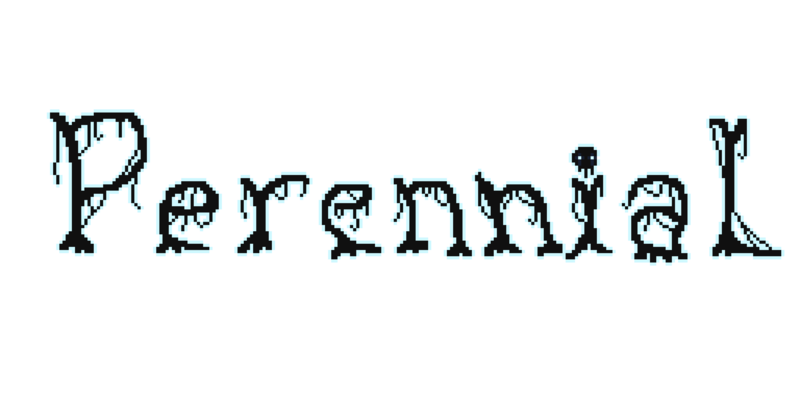 Perennial was made by Breogan Hackett over the course of October 2018 for the Haunted PS1 Halloween Jam. The game is currently version 0.8 which is the version released for the jam. Update 0.9 is on it's way with bug fixes, improved enemy AI, a lot of improvements to the level , 3 possible endings and an options menu. 1.0 the final update (probably) will come at a later date with more improvements to the monster, additional story/gameplay content and some secrets! This is one of the scariest games I've played! At first I thought, "It'd be scarier if the monster had a louder sound," but then I realized that it's even scarier the way that it is because you can barely tell if it's about to get you! I couldn't do it all in one playthrough, very scary!! !